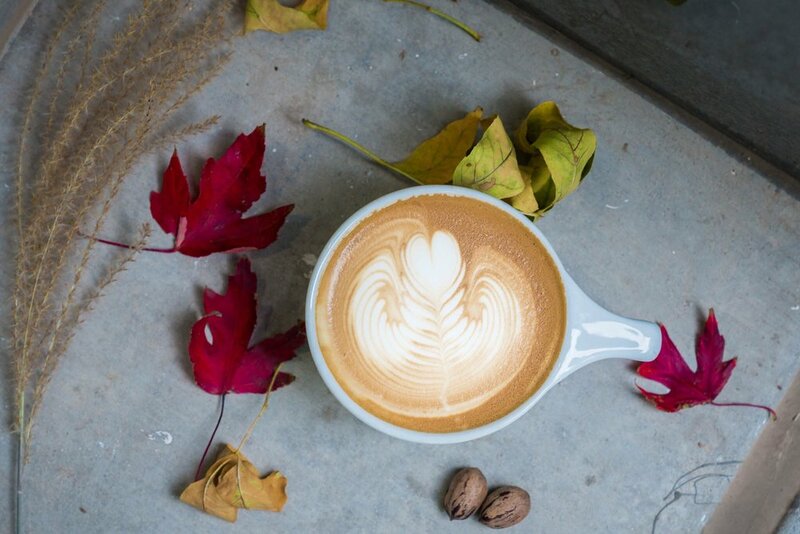 This Fall weather had us so excited for the next few months we launched our #PSL on the first day of Fall! We wrote about the Spice Islands and their impact in our favorite Fall Special here! If you were a big fan of the London Fog, never fear! London Fogs are available year round on our Secret Menu! We said goodbye to Maple Rosemary and now it’s time for the Fig Thyme Latte! Fans of the Maple Rosemary Latte will enjoy the balance of savory and sweet in our November drink special as the sweet fruitiness of Fig pairs will with the subtle and warm thyme flavor. Whether you’re all about the pop-culture phenomenon that is the Pumpkin Spice Latte or you’re looking for a more complex or savory way to celebrate the cooler temperatures, we’re excited to serve our new specials! 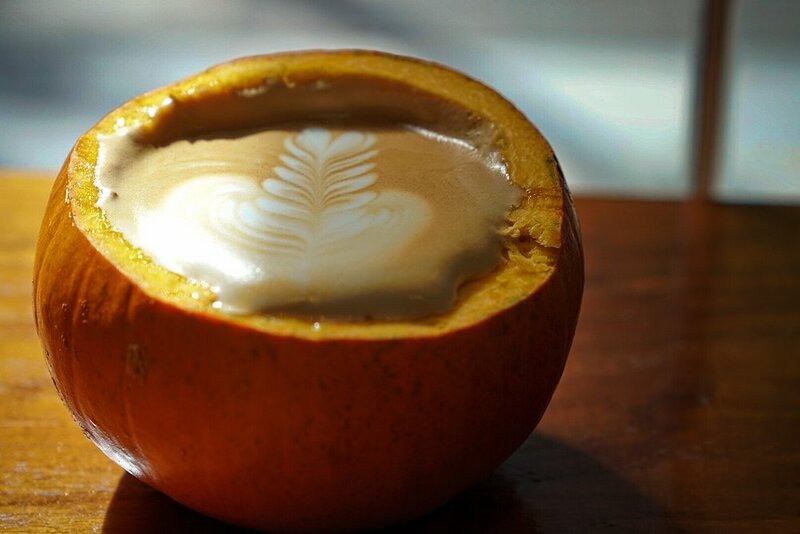 We're proud to announce October's signature drink: Pumpkin Spice Latte. What? You thought we were going to ignore the phenomenon that is the Pumpkin Spice Latte? Look, we love coming up with crazy concoctions, mixing flavors that don't seem to mix with coffee like lavender or maple and rosemary. But the truth is, a classic is a classic for a reason. Not only does coffee go really well with the pumpkin spices: nutmeg, clove, mace, cinnamon, and ginger, but they have a bit of a history together. When coffee was first brought to Europe, it was by spice traders. When the spice trade slowed down, it was coffee that traders would push to make up for slowing sales. In fact, to make their trade routes simpler, they started growing coffee near the spice islands, giving life to the Indonesian coffee market that still thrives today. Spices, and specifically pumpkin spices have shaped the global coffee market in enormous ways. We wanted to take what has grown into an annual national craze and make it our own, so we started out with raw ingredients: pumpkin, sugar, nutmeg, clove, mace, cinnamon, and ginger, and created a sauce that we can base our lattes with, featuring all five spices but balancing them with the coffee, so no flavor gets lost. But why stop at pumpkin spice lattes? 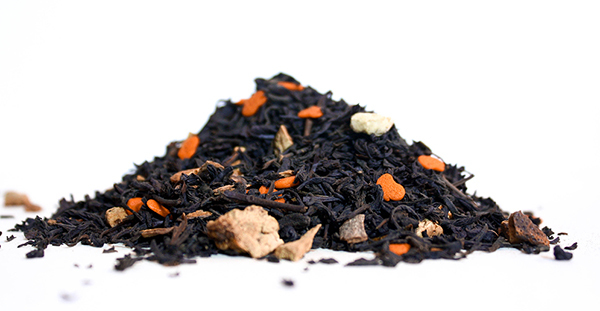 We also have a Pumpkin Spice Black Tea and Pumpkin Spice Chai Latte featuring teas from our friends at Urban Teahouse. Swing in soon and check out all three!